Freshman utility player Kiera Wriight chokes up on the bat against UCLA on Feb. 10. 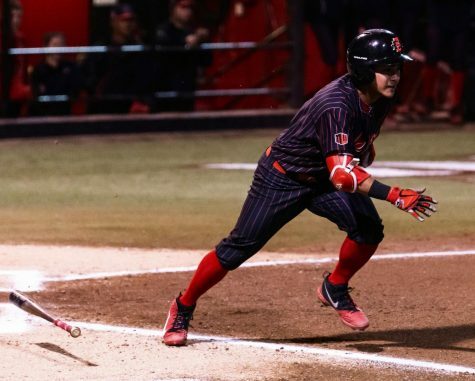 The San Diego State softball team has made 11 NCAA Division I tournament appearances since 2001 and holds a Mountain West-record seven regular-season titles in that span. 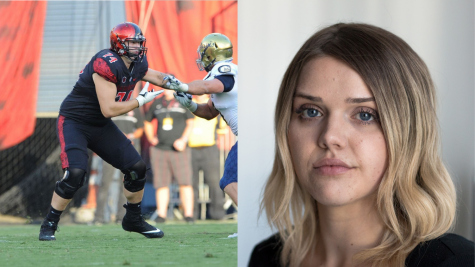 That streak was snapped last season, as the Aztecs missed the postseason for the first time since 2007. The team’s current 23-14 record is strikingly similar to last year’s 22-18 record at this same point. 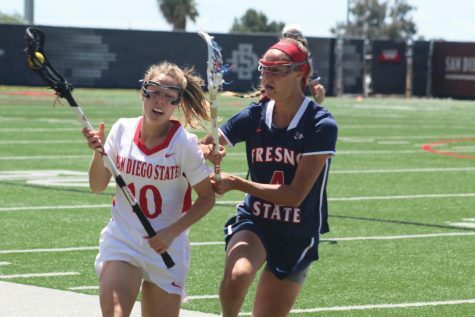 With just 12 games left in the season, nine of which are on the road, SDSU will have to push hard to return to the postseason. 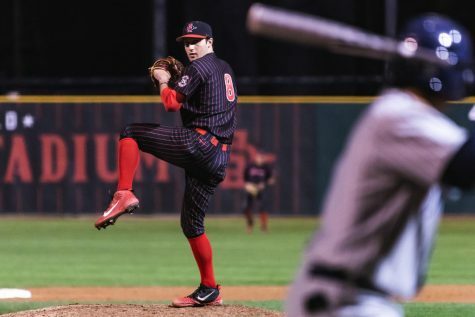 Going into last weekend’s series against the University of New Mexico, the Aztecs’ bats were as hot as anyone’s in the country as they ranked fourth in the nation in batting average and 14th in runs scored. Every starter in the lineup was hitting over .300. With the weekend sweep, the team was pushed into a tie for second in the conference with San Jose State. 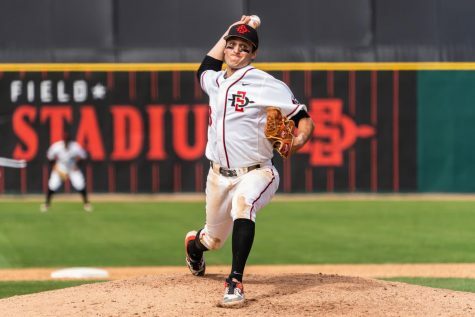 While the Scarlet and Black are dominating opposing pitchers, SDSU’s 1-4 record on the road doesn’t bode well for the final stretch of games with only three on home turf. 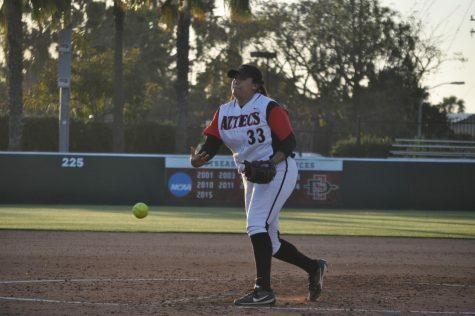 However, the Aztecs had a bye weekend before the UNM series that head coach Kathy Van Wyk said helped rejuvenate the team and bring some life back into its lineup. “We hit a lull before and now I feel like we’re on our way back up,” Van Wyk said. “I’m really glad we didn’t have games over the bye week, because they needed the rest. Some young talent on the team has played a major role in bringing success on the field and in the box so far this season. Freshman shortstop Shelby Thompson is batting .313 with 18 RBIs and is a wall in the infield, while freshman outfielder Kiera Wright is batting .317. Freshman Marissa Moreno has been a force on the mound, with a 3.36 ERA and 42 strikeouts over 66.2 innings pitched so far. SDSU is currently three games behind Utah State, which is ranked first in the MW. There isn’t much room for error as the Aztecs head into the final 12 games of the regular season if they want to return the NCAA Regionals. There are 291 NCAA member institutions that sponsor Division I Softball teams and are eligible to compete in the National Championship. 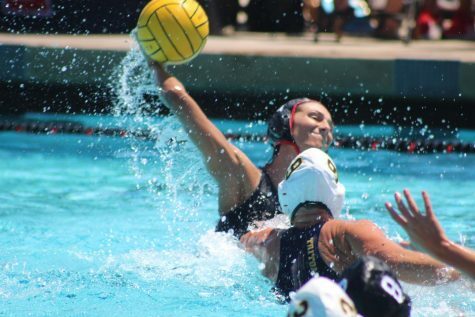 The tournament hosts 64 teams, 32 of which receive automatic qualification after winning their conference, while the other half are selected on an at-large basis by the Division I Softball Committee. The team’s offensive prowess has lent itself to a greater energy in the dugout and on the field. 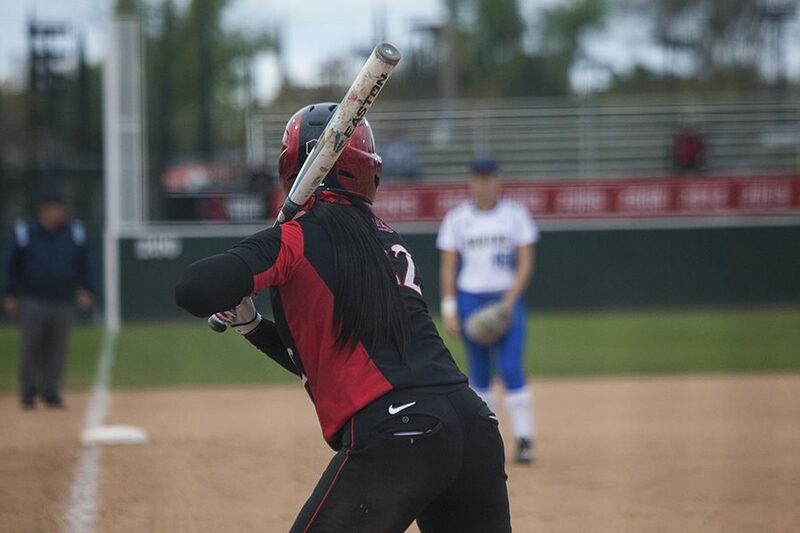 The chemistry on the field has been developing throughout the season and junior outfielder Zaria Meshack feels it is peaking at just the right moment. 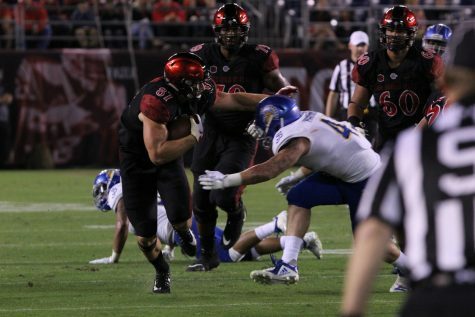 The Aztecs will first head to Boise before facing No. 1 Utah State between April 28-30.